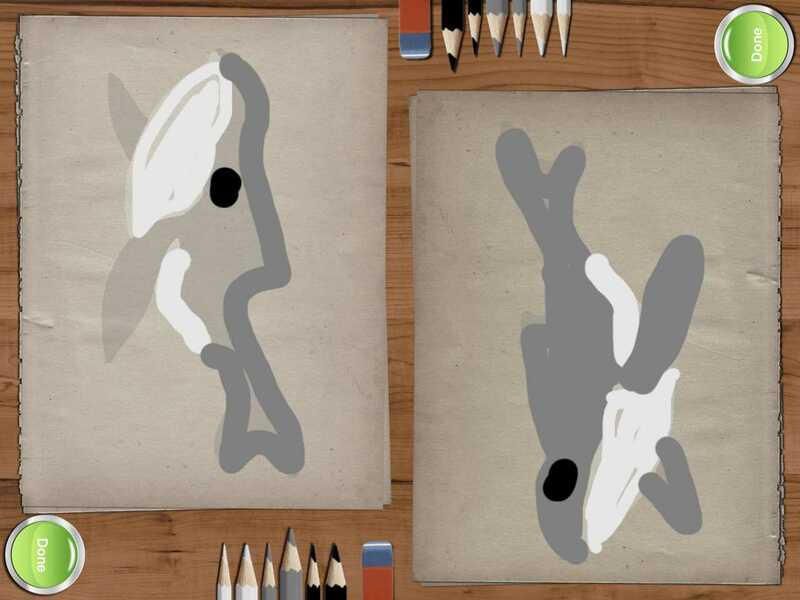 This competitive drawing app makes it fun for two players to explore art together. A lively two-person drawing game that adjusts its level of difficulty to match the talents of the artists. 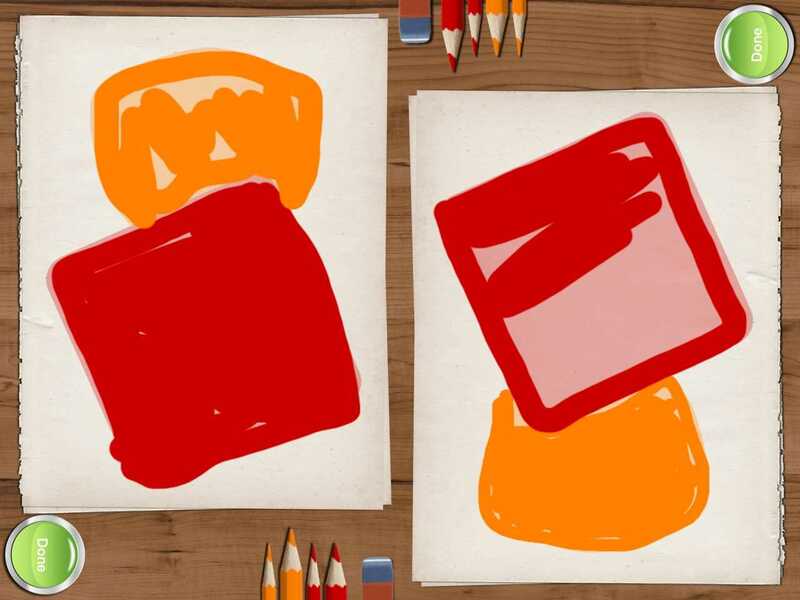 With this engaging app, parents can challenge their kids to a drawing competition. 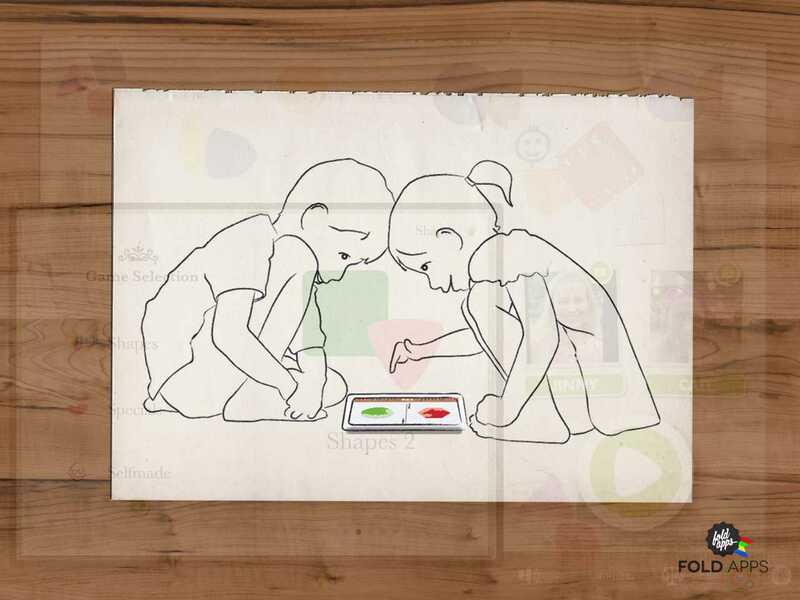 The app splits the screen into two parts so that players face each other with the iPad between them. Each player is shown the same object to draw -- such as a red circle -- and provided colored pencils to accomplish the goal. Using a finger as the pencil, players scribble as fast as they can to fill in the shaded form. The app awards points for both speed and accuracy. 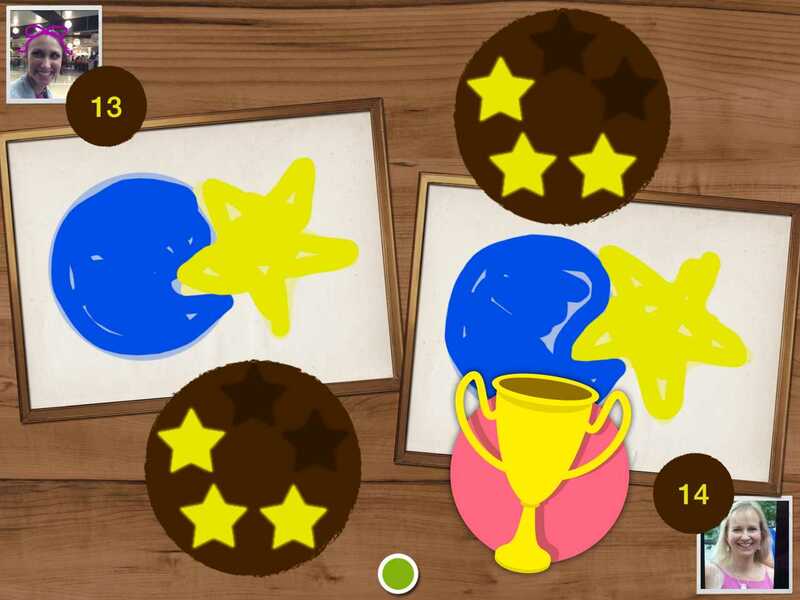 FingerPaint Duel provides a canvas for some healthy and silly competition. It automatically adjusts the challenge for a player who is consistently winning. So if Mom is high-fiving too often, the app shows her the object to draw; and then it takes away the shaded outline, making her drawing challenge harder. 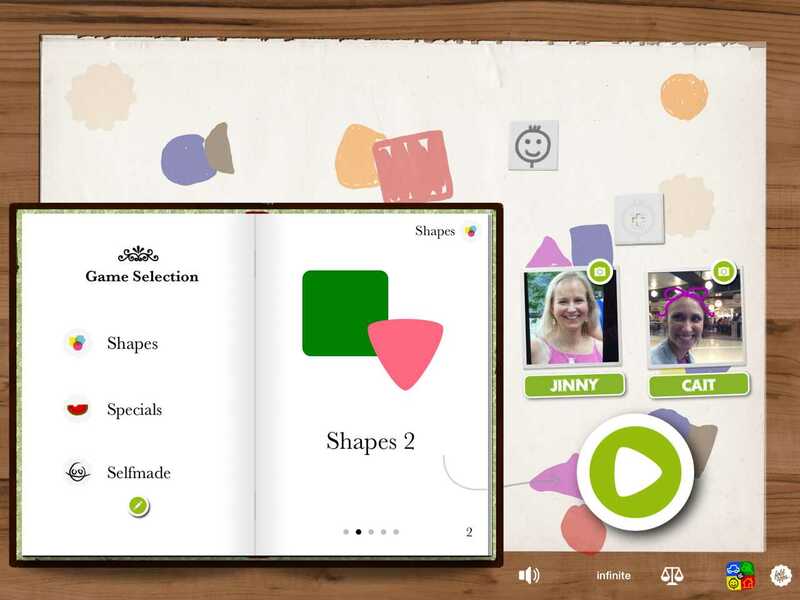 The game comes with two levels of shapes to copy and allows the players to create their own "Selfmade" art to duplicate. More pre-made objects for drawing are available as in-app purchases for $1.99 to open up all or $.99 for a set of themed objects such as animals, vehicles, country flags, etc. FingerPaint Duel is a nifty app for kids to play with others. It works well with siblings, friends, or parents because it adjusts the player's level of difficulty to match his or her drawing prowess.